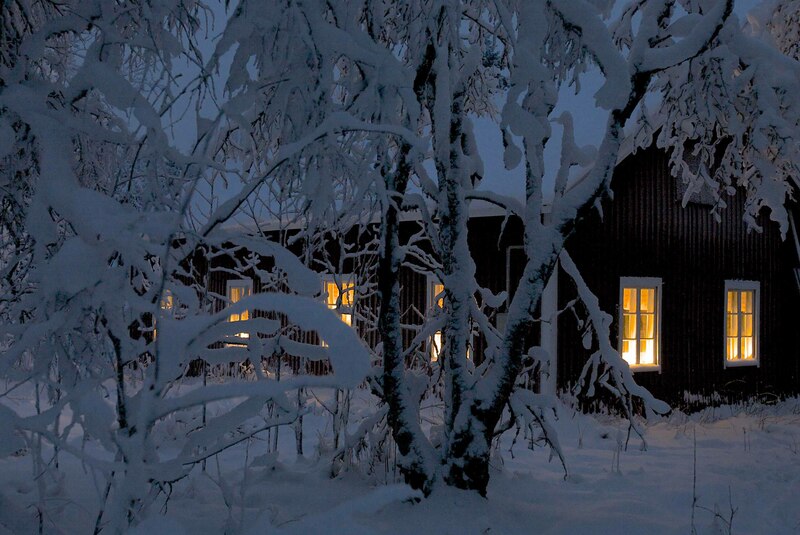 Actually my mothers home in Central Eastern Finland. Today it is our common winter/summer place for the families of mine and my siblings. Picture from 12/2009. This entry was posted on February 22, 2014 by Risto. It was filed under Landscape and was tagged with 16-35, canon eos 5d, finland, Kainuu, landscapes, My blogs and photo gallery, photography, winter. The house is from 1927, skillfully constructed of spruce logs with a huge oven which takes 1.5 meters long logs. Once warmed up the oven keeps the house warm for many days, even in winter time. I must say, it looks so cosy, you just knock on the door! lucky to have such a wonderful retreat……..beautiful………..
Wow! What a beautiful home and winter photo.